The weekend edition of ABC’s “Good Morning America” airs every Saturday and Sunday morning on the ABC Television Network (check local listings). Since its launch on September 4, 2004, the program has covered countless breaking news stories, including the devastating earthquakes in Japan and Haiti, the Arab Spring, the death of Muammar Gaddafi, the Royal Wedding in London and the passing of pop star Whitney Houston. The program is anchored by Dan Harris and Bianna Golodryga. Ron Claiborne is the news anchor and Ginger Zee is weather anchor. The weekend edition of “Good Morning America” brings viewers up-to-the-minute breaking news and weather, as well as topical feature stories. The program features a combination of news and headline-making interviews, plus discussion of a wide array of issues in the areas of politics, entertainment, consumer information, cutting-edge technology and health and medical advances. In addition to updates on hot new trends, the weekend edition of “Good Morning America” gives viewers a dose of the funniest, craziest, most fascinating videos from the week in a segment entitled “Fixation.” The program also features the popular “3 Words” series in which viewers from around the country submit their life stories in a unique and visual way. 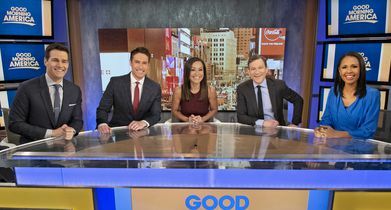 In addition to their anchor duties for the weekend edition of “Good Morning America,” the anchors contribute to the weekday edition and to various other ABC News programs and platforms. 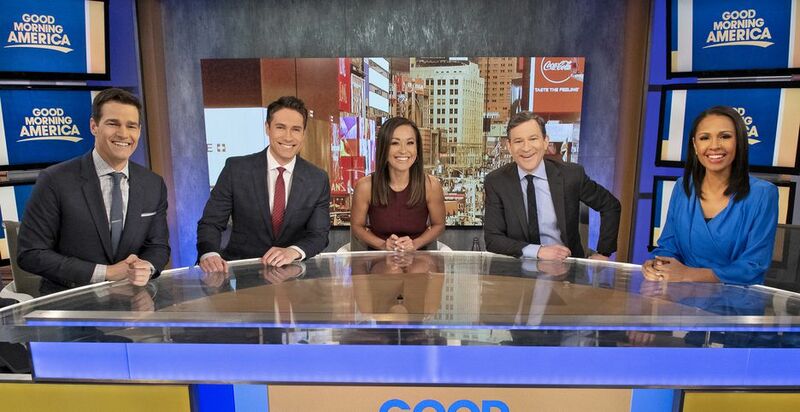 The weekend edition of “Good Morning America” also features other ABC News correspondents and contributors who are familiar to the “Good Morning America” weekday audience. James Goldston is the senior executive producer of “Good Morning America” and Tom Cibrowski is the executive producer. Matt Frucci is Senior Broadcast Producer.